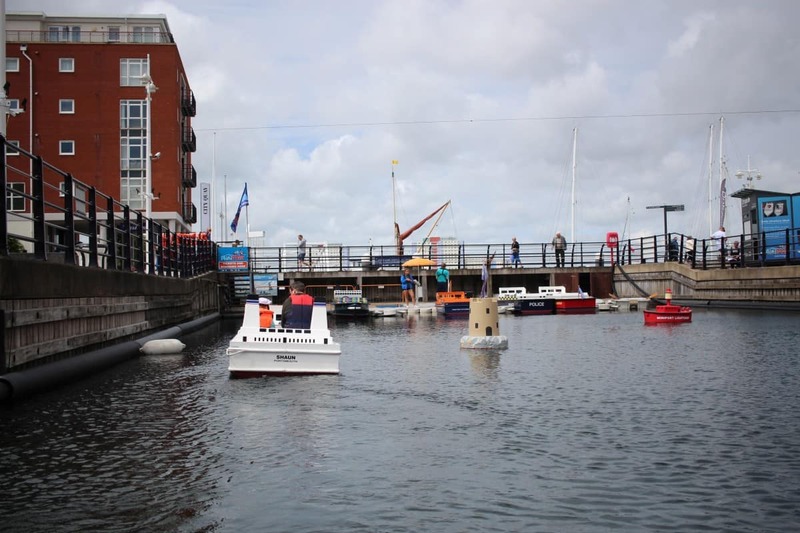 When we were at the coast recently we discovered Mini Port at Gunwharf Quays. It looked so fun and the children were so excited by it that we just had to give it a go. So, after a trip up the Spinnaker Tower we headed to Mini Port where we were all given life jackets and instructions and then we set sail! 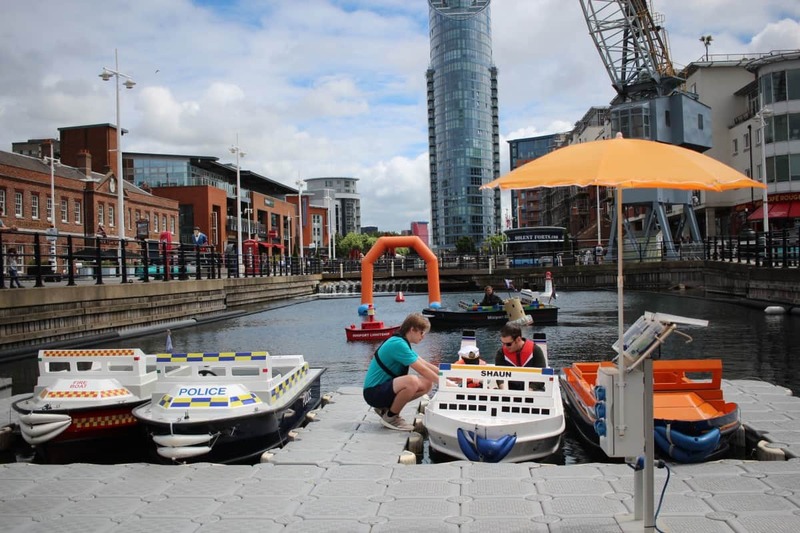 Mini Port has a selection of electric boats – a ferry, fire boat, police boat, navy ship… The boats are all so fun and the children loved that they could pick whichever one they wanted to sail. The boats cost £10 to hire and you get a minimum of 12 minutes on board. 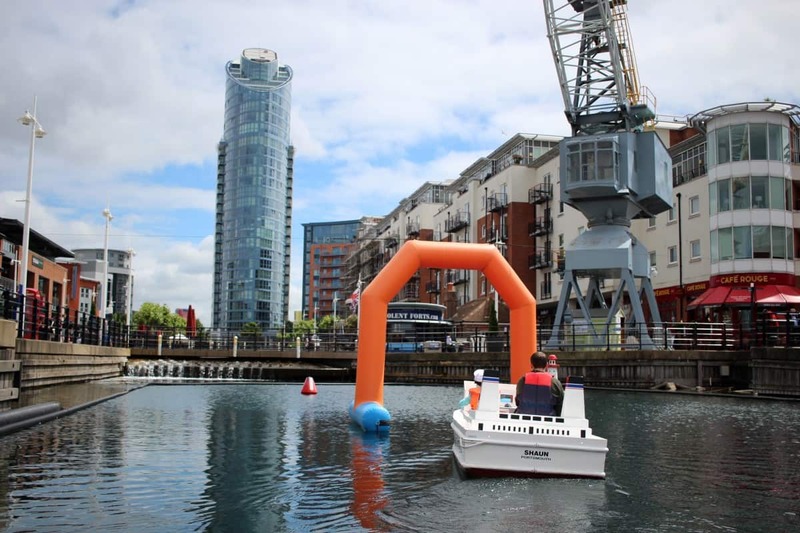 Because it was quiet at the time – we were the first to have a go that day – we were given half an hour but the children had enough by about twenty minutes and were happy to dock and finish their turn. 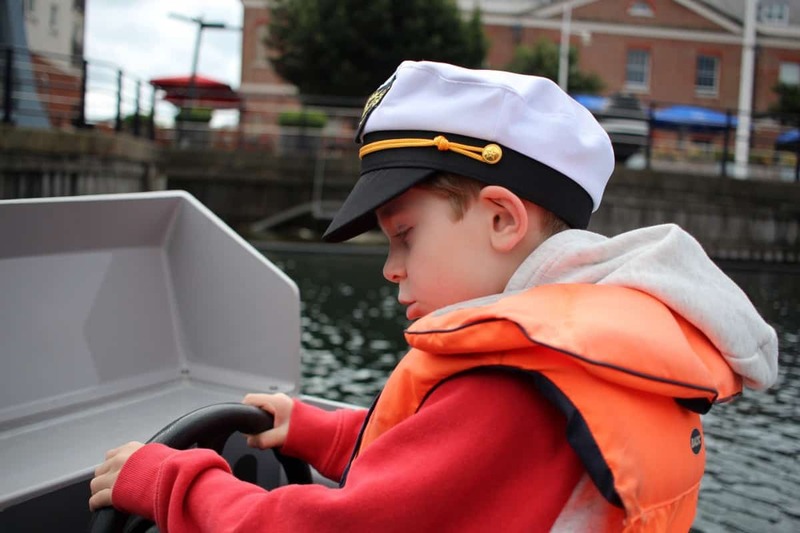 The boats are easy to control – with a steering wheel and an on/off dial that lets you go forwards or in reverse and increase or decrease the speed. 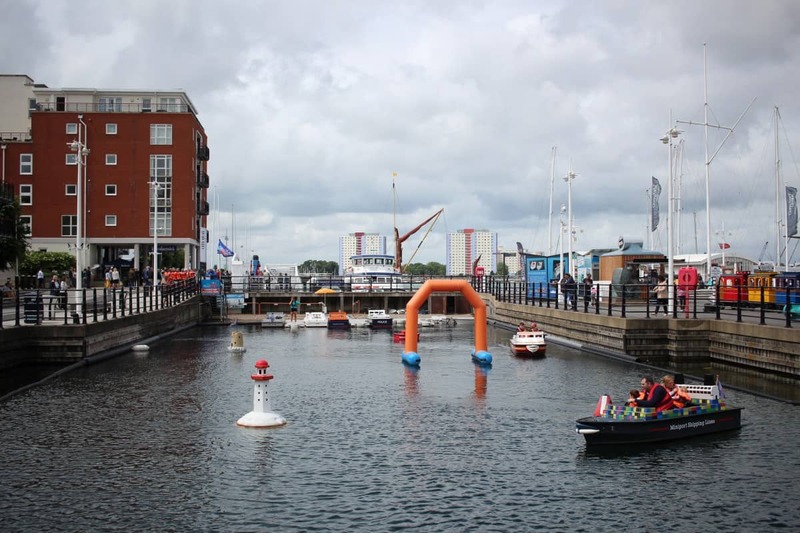 We had to go clockwise around the route that was laid out for us – around obstacles and through an archway – and once we got the hang of the controls we were able to increase speed and move smoothly round the course. 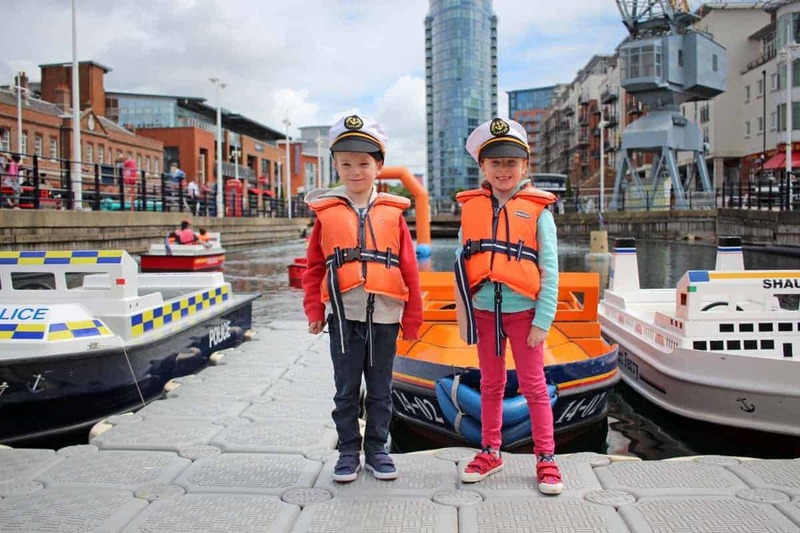 LP and Little Man felt like real captains on their boats – and loved doing something so new and exciting. 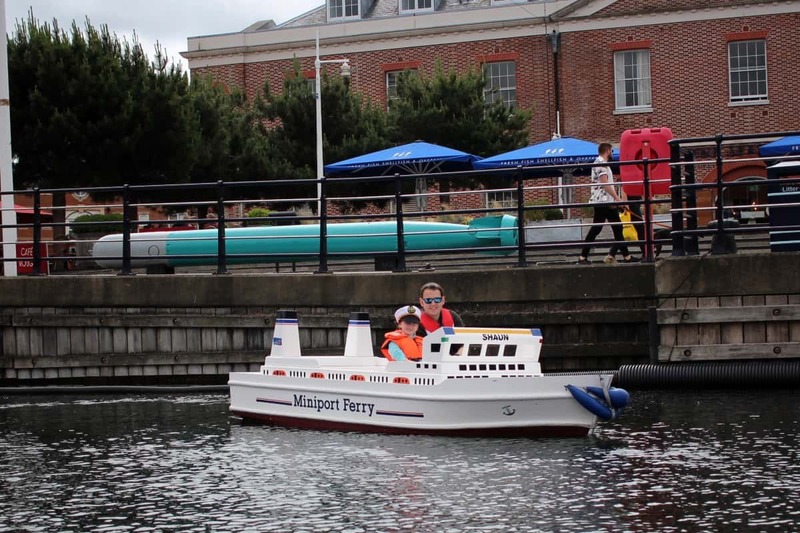 For £10 for something the whole family can enjoy I thought it was great value – and definitely get there early to have as long on the water as possible. 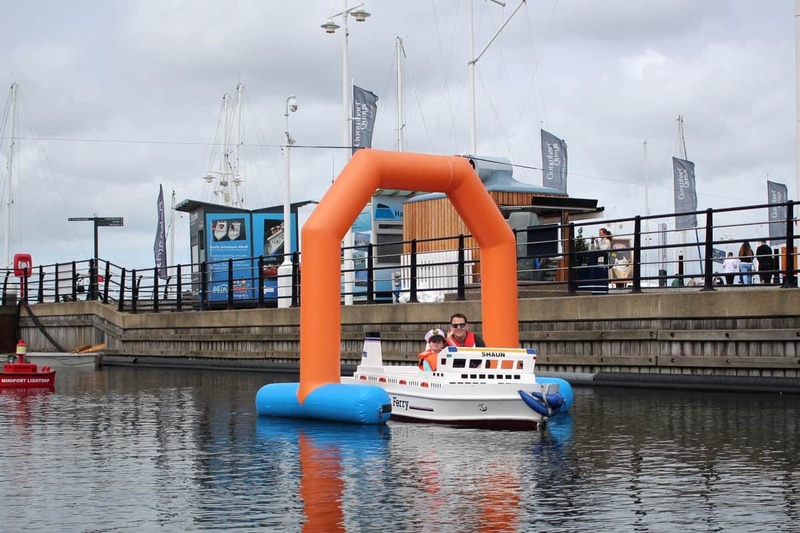 It’s something we’ll be adding to any trip to Gunwharf Quays in the future – and would be a great way of inspiring the children to walk round the shops if they knew they’d be able to captain their own boat at the end of it. 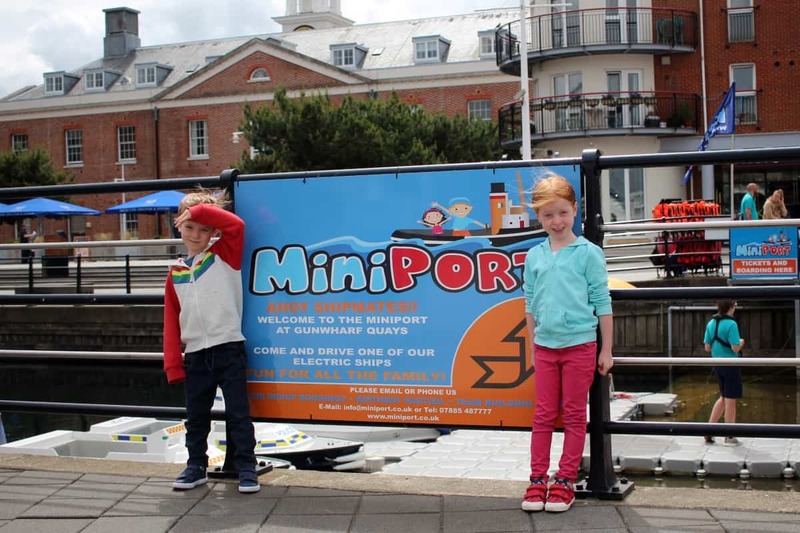 Disclosure: We paid for our visit to Mini Port but loved it so much we thought we’d share it with you.